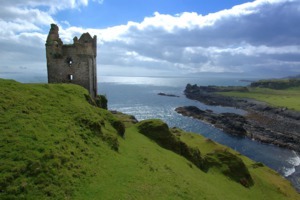 A voyage with Hebridean Island Cruises on board Hebridean Princess is truly unique. Loved by all who sail on her - even Her Majesty is a fan! - this unpretentious little ship, inextricably linked to Scotland's beautiful Western Isles, is a true gem. The magic of the Western Isles, the wild beauty of the Scottish coast, the extraordinary wildlife and the remote castles are all a part of what makes a cruise on Hebridean Princess so special. Nobody else comes close. 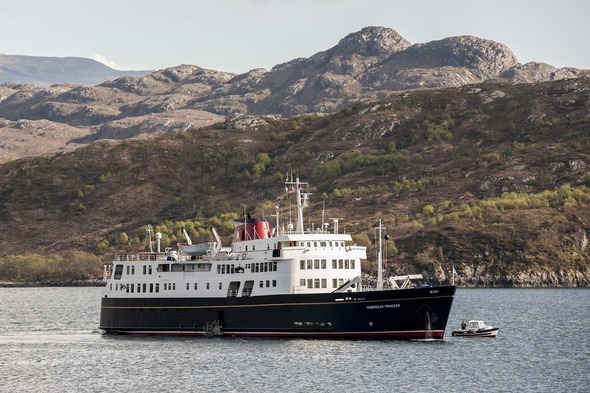 They say small is beautiful, and Hebridean Island Cruises is the embodiment of that adage - just 50 fortunate guests travelling on board a former Caledonian McBrayne ferry, refurbished in the style of the most cosy of Scottish country house hotels. 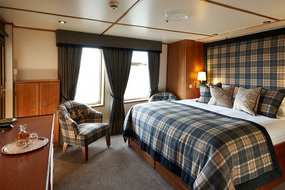 If we say that returning to Hebridean Princess - as the vast majority of her passengers do, time and again - is like putting on a favourite pair of comfy slippers and sitting back to enjoy a glass of your favourite malt, we don't mean that as an insult: what could be nicer! 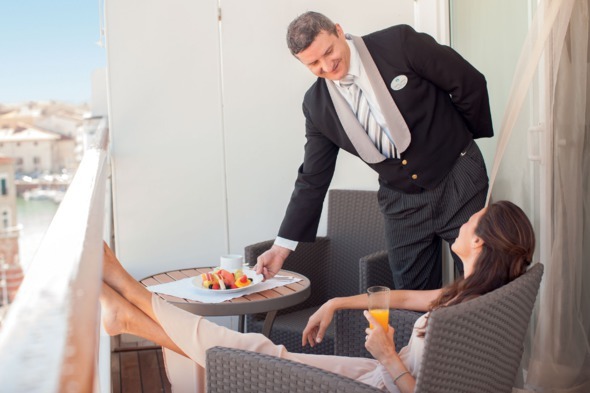 Beautifully prepared Scottish specialities are served to you daily in the Columba restaurant: while you eat, enjoy breathtaking views of the glorious Scottish countryside - you are never far from land on a Hebridean cruise. 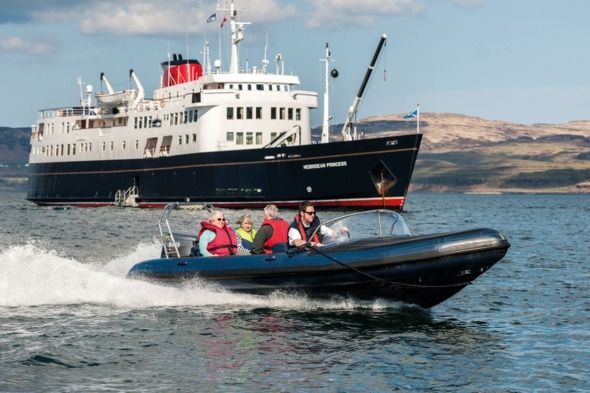 Work up an appetite during the day on an included excursion: nobody knows the region better than Hebridean Island Cruises, and doors open to you that would otherwise remain firmly barred. 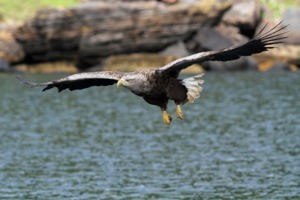 In the company of expert guides and lecturers, you will enjoy visits to the full. 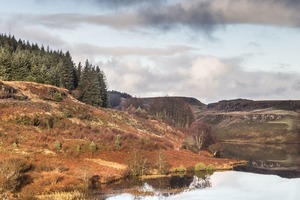 Or why not join one of the 'footloose' walking cruises, or take a bicycle to explore further afield. 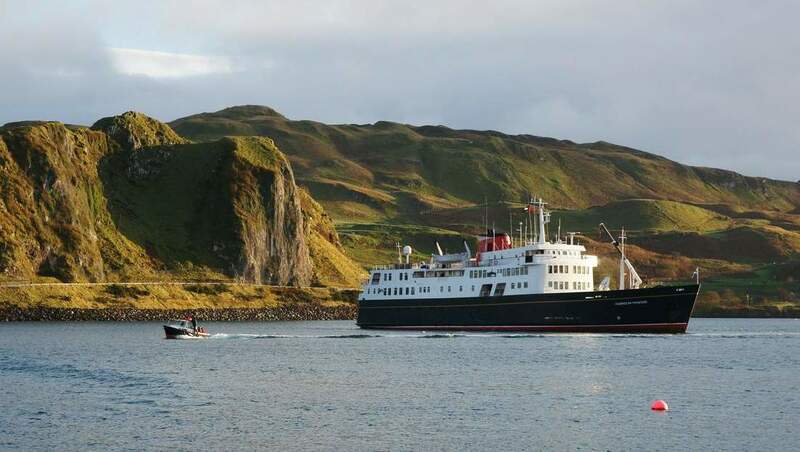 Hebridean Princess very occasionally leaves Scottish waters to explore Ireland, Norway or Southern England. Regulars in particular enjoy the change. 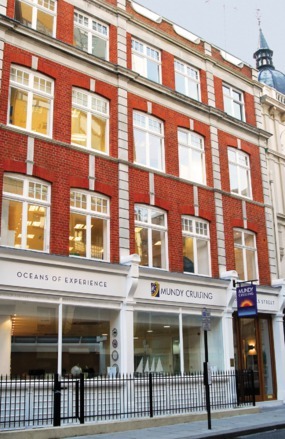 And if you like the style but are looking for something different, they have a river cruise programme too.